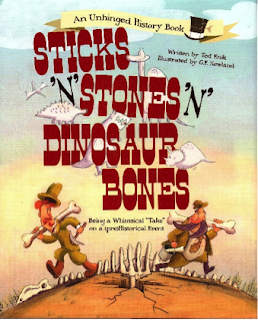 Today we feature illustrator G. F. Newland, as part of the blog tour of his new book, STICKS 'N' STONES 'N' DINOSAUR BONES, by Ted Enik (Schiffer Publishing). 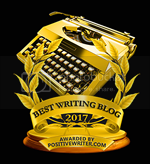 Be sure to enter to win a copy of the book! I'm a big fan of the whole childhood thing. I enjoyed being a child, quite a lot, and after a brief bout of adulthood, I got to enjoy childhood all over again, when my kids were little. Now, although my kids have grown up a bit, I have not relapsed into adulthood . . .knock on wood. 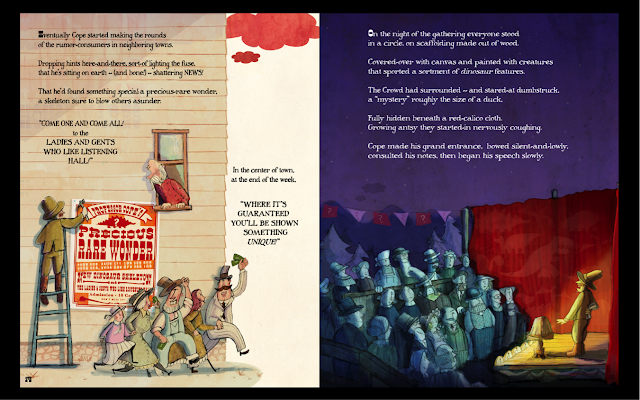 Therefore, I feel particularly qualified to illustrate children's books. 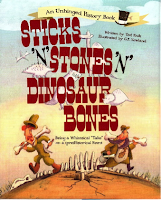 Congrats on your book, STICKS 'N' STONES 'N' DINOSAUR BONES. 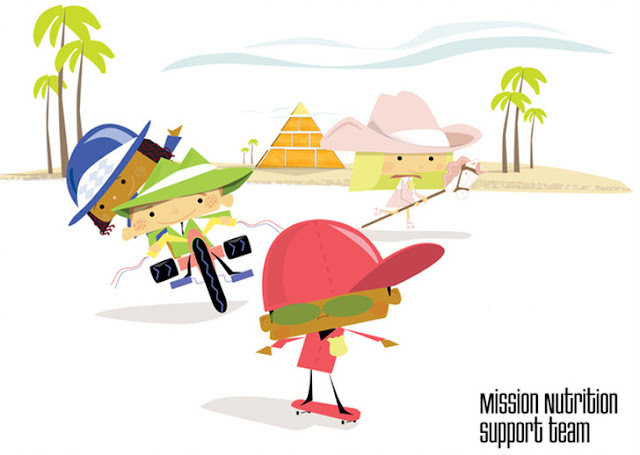 Can you tell us about the illustrations? What medium did you use? How did you find a style that helped to tell the story? The story, as Ted’s written it, is a little bit true science and history, but quite a lot Wild-West tall-tale, so, before I started messing about with the tall-tale bits, I did some reference research. Once I knew what the main characters looked like, what they wore, where and when they lived, etc., I was able to make up the rest, visually speaking. I generally doodle around a bit, pencil on paper, and when I have something that suits the text, I then scan the doodle, and paint it digitally, using Photoshop. Because the story is set in the mid-1800s, I thought I would give it an old-timer, earth-toned look. 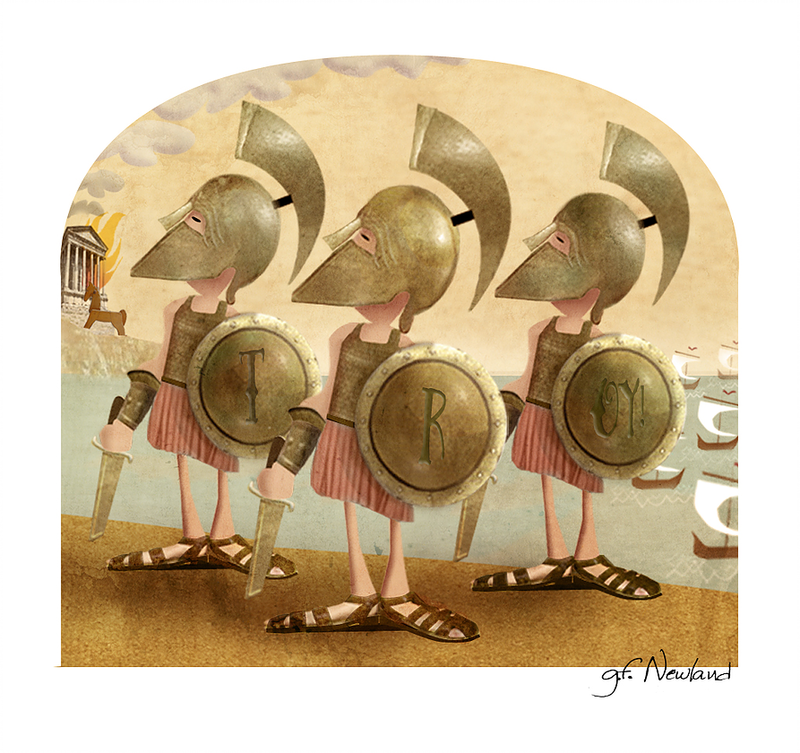 How did you echo the humorous tone of the story in your illustrations? 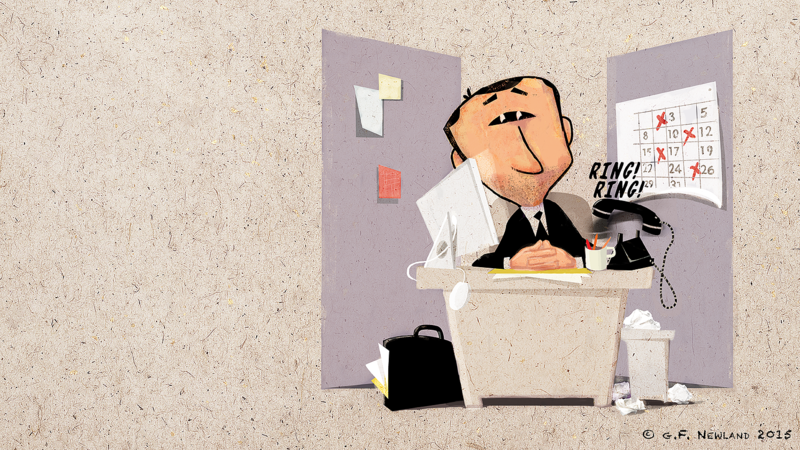 I’m a big fan of the Disney-style educational animated shorts from the ’50s and ’60s, where the visuals add a pantomime-like secondary level of fun and information to the narration. I try to do the same in my doodles. Also, I like a good pun, visual and otherwise, so I tend to throw in some shtick when it’s not too inconvenient. On page 2, for instance, there’s a farm family posing for a portrait, and their dog is teetering under the weight of a dinosaur bone he’s holding in his teeth. 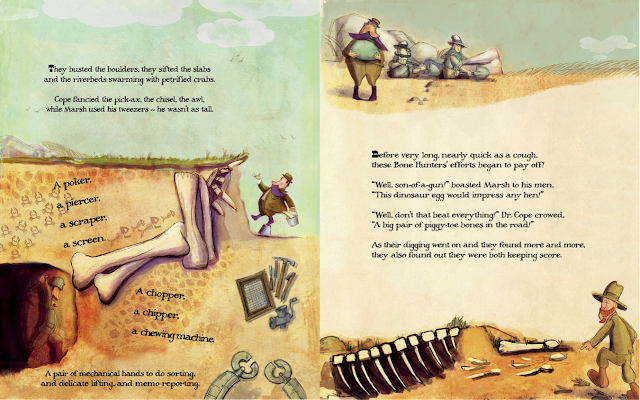 On page 8, Prof. Marsh admires a dinosaur egg, while behind him, the distracted first crewman empties his shovel into the second crewman’s hole. That’s a gag I borrowed from the Marx Brothers movie, “Go West.” There’s a bunch of similar gags strewn about the book. Finally, there are a lot of make-believe characters and comic situations in the story that made me laugh, and gave me the opportunity to draw funny! Will you illustrate all the Unhinged History books written by Ted Enik? What other books are planned? I’d be happy to carry on with Unhinged History. We’ll see, as they say. 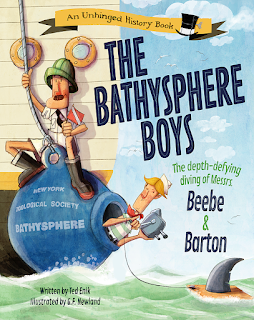 As for now, the second Unhinged History book, called the Bathysphere Boys is due out next Spring. I am illustrating it. I’ve just begun illustrating a kid’s book for Schiffer about a visit to the Mutter Museum in Philadelphia, written by one of the museum’s directors, and featuring her son as the tour guide. I am the systems administrator at the School of Visual Arts, New York City. I play a couple of musical instruments in a couple of bands. I live in Brooklyn, where my wife and I, separately, have grown kids … two of them live next door. We’d like to have a cat, but our landlady won’t let us. 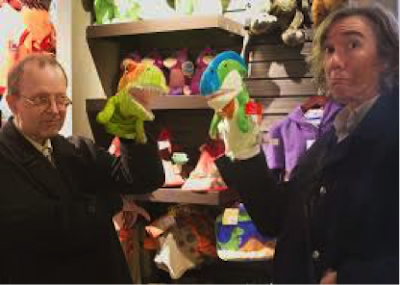 We have a little fish named Enki, but we would really like a cat. I've worked at the School of Visual Arts for around ten years now, four in the Cartooning & Illustration Department as a Computer Lab Manage (an IT kind of job). Before STICKS 'N' STONES came out, most students and instructors alike assumed I was an IT kind of guy. They didn't know that I also dabble in illustration or that I play a couple of musical instruments in a couple of bands. I'm guessing most of my musician friends don't know I work in IT or that I've illustrated a few children's books. Contrariwise, it appears that the illustration people know all my secret identities when reminding me of looming, impending deadlines. 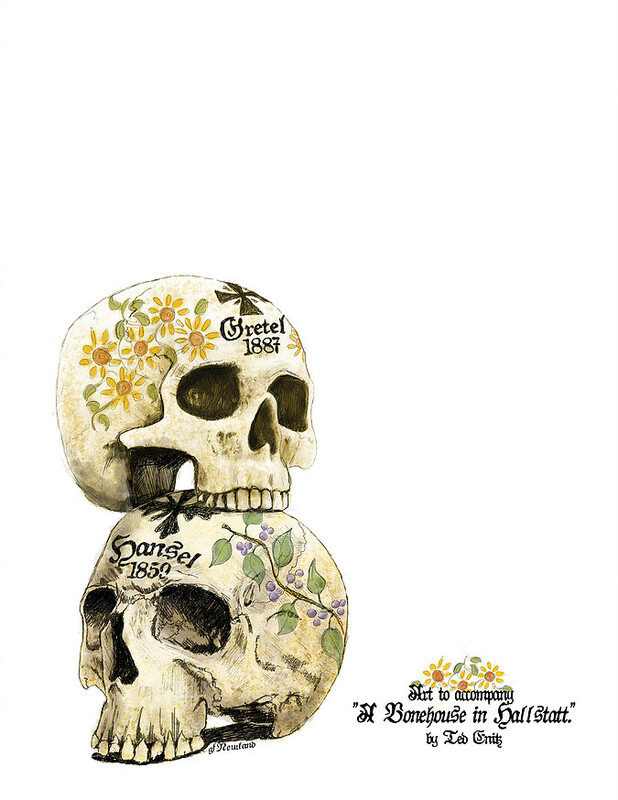 This first book in Ted Enik and G.F Newland's "Unhinged History" series is a ripping yarn - full of adventure and deceit - that brings to life the best-known public spat in all of paleontology: the bitter rivalry between Edward Drinker Cope and Othniel Charles Marsh that became known as "The Bone Wars." Lively and witty rhymes plus beautifully demented illustrations by Newland reveal how the paleontologists' infamous rivalry began and how their mutual obsession with outdoing and ruining one another spun out of control. Ted Enik has worked as an illustrator for most of the well-known New York publishing houses, applying his versatility to both original art as well as classic and current children’s book characters, including the Magic School Bus, the Eloise books, and the popular “Fancy Nancy I Can Read” series. This is the first picture book Ted has authored. It was first published in 2013 by Pixel Mouse House, New York, and honored as a Finalist in the American Book Fest’s 2014 Best Children’s Nonfiction and a Finalist in American Book Fest’s 2014 International Book Award for Best Children’s Nonfiction. Learn more about his books at unhingedhistory.com and his illustration at tedenik.com. 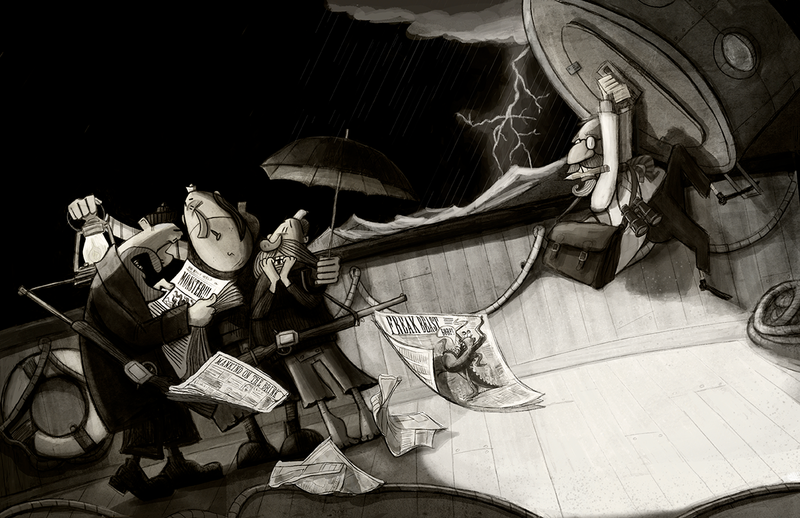 G.F. Newland is a part-time illustrator and the systems administrator at the School of Visual Arts, New York, NY. His doodles have found their way onto buttons, bags, posters, and T-shirts, and have been published by Scholastic, Hachette, and Pixel Mouse House. He lives in Brooklyn with his wife and a pet fish named Enki. Visit his website at gfnewland.com. 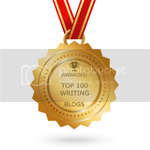 November 6: CanYou Read Me a Story? 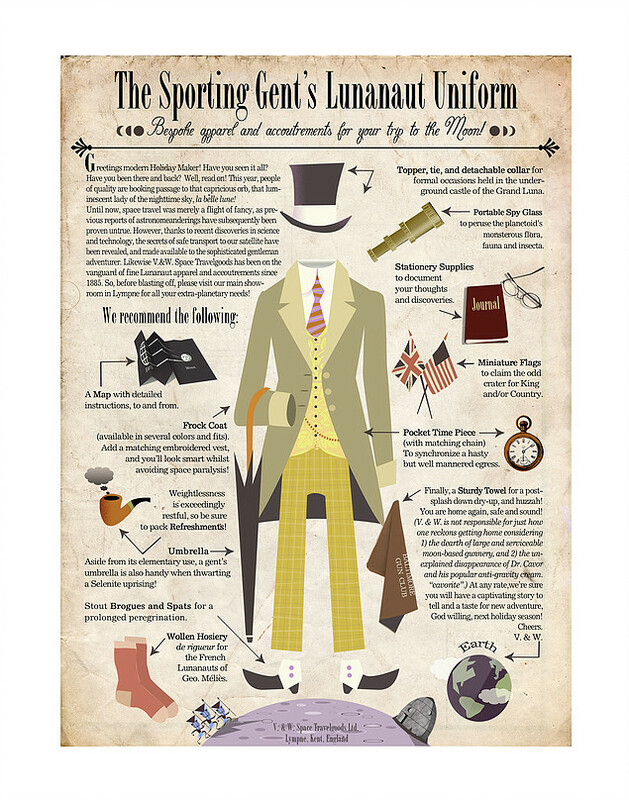 Love those beautiful illustrations! Thank you for the inspiring interview. The human side of science is fascinating, especially when it involves spats, conflict, and all out blood feuds! All the Unhinged History books are going on my TBR list! Beautiful art - smart and funny too! What a fun looking book! 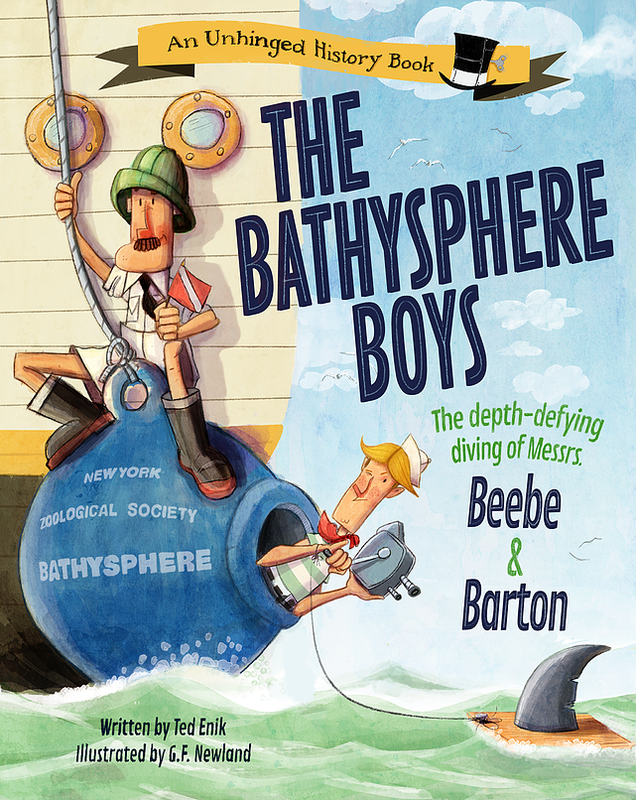 "The Bathysphere Boys" also looks great! You're an amazing artist. I would love to win this book and will definitely look for your work! Your illustrations lend so much humor to the book! Really looking forward to reading the first of the "Unhinged History Books!" 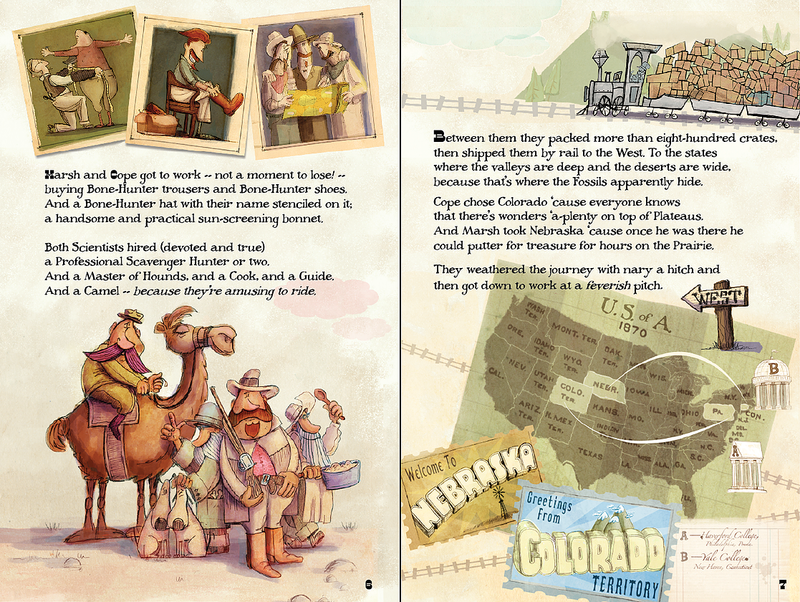 Your illustrations have so much detail that I can't wait to get copies of your books. I'm going to the library today. I enjoy the humor as well as the topics. This book looks like such fun. I love the illustrations!